Grant, one of North Kentucky’s most beautiful counties, is a great place to raise a family or grow a company. We are a community committed to educational excellence, economic prosperity and cultural fulfillment. We are dedicated to those commitments and our reputation. A great spotlight was put on Grant County when Rodger Bingham, of Crittenden, appeared on the national telecast of the “Survivor” reality show. He frequently made reference to his rural life and his family and friends back home. His survivor skills and his people skills contributed to his longevity on the show; strong arts and youth activities programs; and job opportunities at a significant number of manufacturing and service companies. 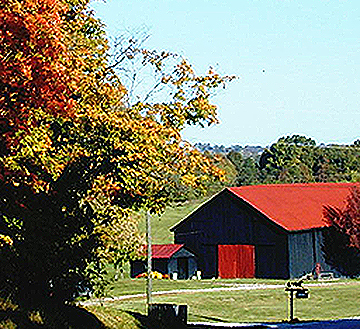 Grant County, located in the central part of Northern Kentucky, was established in 1820. The name comes from a nearby settler, Samual Grant, the son of William and Elizabeth Boone Grant, and the nephew of Daniel Boone. In 1794, Samual was killed by indians on the Ohio River near this county. The County’s seat, Williamstown, is named in honor of William Arnold. 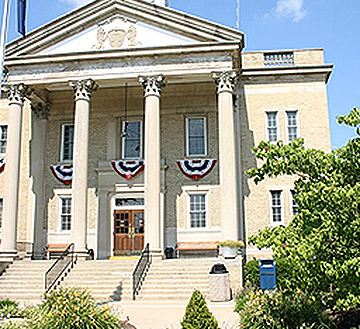 He donated the original acreage for the counties public square buildings – a stray animal pen, jail and courthouse. Residents and companies in Grant enjoy the advantages of an hour drive to Lexington, Louisville and Cincinnati metro areas, as well as living close to Kentucky’s Horse Park. Claiborne Horse Farm in Paris and Keeneland are within a short driving distance and I-75 easily connects businesses to their marketplaces north, south, east and west. With nearly 26,000 residents, Grant County’s number one commitment is in making you feel welcome.